The Grade II Listed Building will provide 202 dwellings, 115 of which will be refurbished and will be assessed under EcoHomes and the remaining new builds will be assessed under the Code for Sustainable Homes. 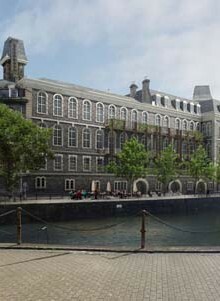 We worked closely with the design team to ensure that the energy and sustainability strategy for the existing building would retain its character whilst still providing advice on how to improve the building fabric and limit the heat losses to the Grade II Listed Building. The energy and sustainability strategy for the new build part of the scheme aimed to maximise the reductions in CO2 emissions, whilst ensuring the approach was cost-effective and considerate to the specific requirements of the proposed development and local area. Our understanding of a wide range of sustainability and planning issues ensured we were well placed to help prepare the energy and sustainability strategy for the development, and we are pleased that the methodology is allowing the scheme to clearly demonstrate a commitment to sustainable development.